lightweight shoe for shorter distances and approaches to climbs), and the Anaconda (nice flatter shoe with fell-racing type cleats). 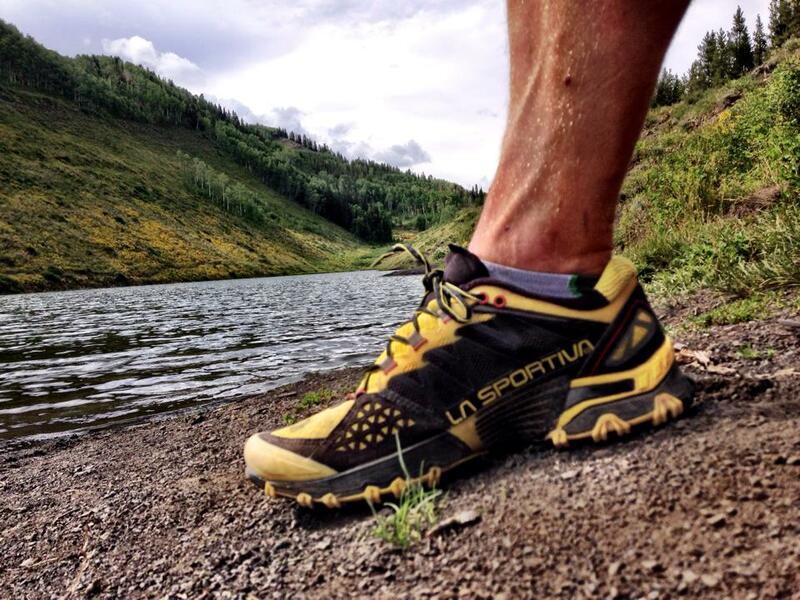 Fast forward to 2014 or maybe even early 2013, La Sportiva crafted the Bushido. I was able to test the shoe initially in Crested Butte on some mellow trails with minimal rock and they left a good first impression. I ordered a pair for both my wife and myself as soon as we got back from the trip (wife tested them and loved them as well). Six months later, they're my go-to shoe for all things trail. I still break out my Helios if I want to do a short quicker speed-type workout but for all else the Bushido are my shoe of choice. Give them a try if you like awesome shoes that feel light yet protective, stick to surfaces like velcro, and make your feet just plain happy to run on rocks.